The area where Peel Regional Police said they located a man's body on Nov. 30, 2018 is seen. Gianfranco “John” Zucatti was struck by a vehicle while crossing a roadway in the area of Dundas Street East and Wharton Way on Nov. 30, 2018 sometime between 7:15 p.m. and 7:50 p.m. 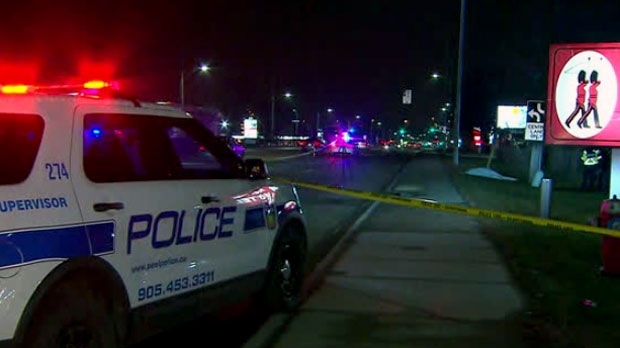 The Mississauga resident was pronounced dead following the incident. “Investigators would like to thank the media and members of the community for their assistance in this investigation,” police said in a news release issued on Tuesday. Clinton Sebastian-Francis, of Toronto, has been charged with failing to remain at the scene of a collision causing death and public mischief. He is scheduled to appear for a bail hearing in a Brampton courtroom on Wednesday.